-Customers of Solar Green Mountain Power who own net-metered photovoltaic systems are eligible to receive a bonus payment equal to $0.06 per kilowatt hour generated by the customer owned system. -Green Mountain Power will reimburse the customer for the expenses of the additional meter up to $300. -All renewable energy credits generated by the customer owned system will belong to the customer not the utility. -The total value added to a home by a renewable energy system may be exempt from property taxes. -Systems and technologies that are eligible for this exemption are solar, wind, biomass, hydroelectric, combined heat and power/cogeneration, fuel cells, renewable fuels and anaerobic digestion. -This is a property tax financing authorization incentive that allows property owners to borrow money to pay for energy efficiency improvements. -The amount borrowed is paid back through a property tax assessment which is increased for a certain amount of years until all the funds are paid. -In Vermont, renewable energy systems up to 250 kilowatts in capacity are eligible to be 100% sales tax exempted. -Micro-combined heat and power systems up to 20 kilowatts are tax exempt. -The exemption is offered for both grid-tied and off-grid systems. -The clean energy development fund has a loan and grant program both designed to promote the development of clean electric-energy technologies by providing funding for purchasing land and buildings, purchasing and installing machinery and equipment, and working capital. -Loans have a fixed interest rate of 2%. The minimum loan amount is $50,000 and the maximum amount is $1,000,000. -Grant amounts vary by solicitation. -Grants are available to four project categories; re-project financial assistance, small-scale systems, large-scale systems and special demonstration projects. -Eligible clean electric-energy technologies and systems include solar, wind, biomass, fuel cells and combined heat and power. -This program provides homeowners with financial incentives for energy efficiency projects. 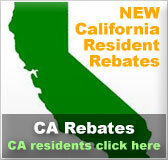 -The rebate amount for qualifying systems is one third of the installed system cost up to $2,500. -Projects must be pre-approved by Efficiency Vermont before the installation to be eligible. 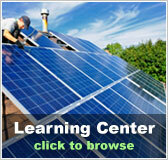 -This program provides funding for new solar, wind and micro-hydro energy system installations. 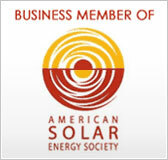 -Systems must be installed by Vermont Solar and Wind Partners to qualify. 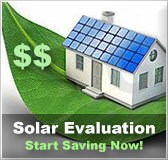 -Incentive amounts for residential photovoltaic and solar hot water systems are $1.75 per watt up to $8,750. -Incentive amounts for residential small wind systems are $2.50 per watt DC up to $12,500. -Incentive amounts for residential micro-hydro systems are $1.75 per 3 ft-gal/min. up to $8,750. -Net metering is offered to residents in Vermont who own grid-tied systems up to 250 kilowatts in capacity that generate electricity using eligible renewable energy resources, and to micro-combined heat and power systems up to 20 kW. -The net excess generation is credited to the customer's next bill at retail rate. -At the end of 12 months, all unused net excess generation credits will revert to the utility without any compensation to the customer.